Should Groves win, we could be facing a Eubank Jr. rematch. "My prediction is a Groves victory. I think after they figure out who's doing what with their jabs, when it gets into a rough and tough exchange Groves' will come out on top; he does his thing when he's going forward, take his head out and comes back with a lovely left hook." It's the finals of the World Boxing Super Series and we're in for a cracking fight between George Groves and Callum Smith, one that fans have wanted to see for a while. I'm glad that it's happening now, I thought it could take a few more months after Groves' victory in his last fight against Chris Eubank Jr. as he sustained quite a serious shoulder dislocation and in some instances, that can keep fighters out of the ring for some time. He's obviously got a great physiotherapist in Kevin Didlow and Shane McGuigan that knows his rehabilitation and they've worked hard on that. I believe that Groves' has the experience, the long-ranged jab, the form and the fact he's fought at such a high level for so long will work in his favour. I haven't seen Callum Smith's chin tested like George Groves will no doubt test it. His right hand is incredibly underrated, if he lands it clean I believe it's lights out for anyone in his weight class. It will be a surprise to Smith on how strong and physically imposing he is. I've sparred with Groves before and despite being super middle weight he feels like a cruiserweight he is much bigger and stronger than the scales suggest. Smith is no slouch, he's around 6'3" but despite being a tall guy the physical advantage will be with Groves. It becomes a pull and push situation. If it becomes rough and tough that will definitely work in Groves' favour as he's a great wrestler as well, he implements both wrestling and grappling into his training regime. He needs to keep it long and engage as much as he can. My prediction is a Groves victory. I think after they figure out who's doing what with their jabs, when it gets into a rough and tough exchange Groves' will come out on top; he does his thing when he's going forward, take his head out and comes back with a lovely left hook. My feeling is the method of victory will be by stoppage. I don't believe it will be early, he'll have to use his strength in the fight and get messy, that suits him. He's a very good counter puncher and he proved it against Chris Eubank Jr. that inside he's very effective up close and a lot better there than his tall frame would suggest. Eubank Jr. rematch on the cards? 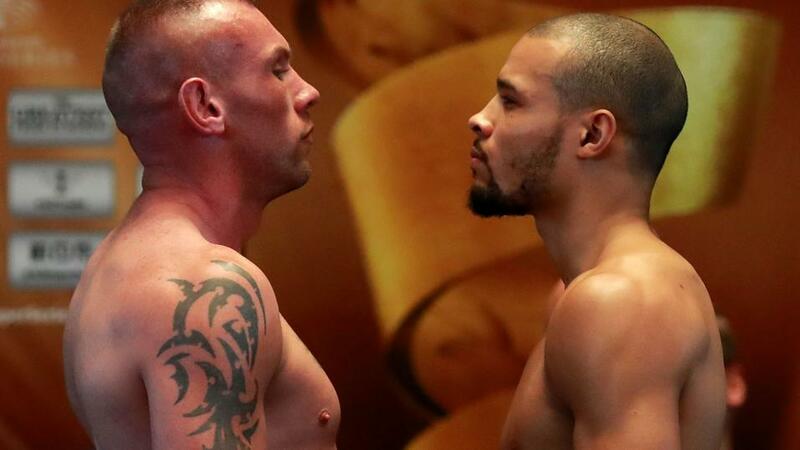 If Groves wins this fight, he'll want the rematch against Eubank Jr. It was such a high-profile fight, everyone was talking about it in the build-up. Groves took the victory despite going into the 12th round with a dislocated shoulder - it was immensely exciting right up until the bell. It's a natural fight, it's one the fans want to see and if they want it, it brings the dough to the table. I'd say it was the highest profile all British super middleweight bout since the Froch v Groves II at Wembley stadium. Groves is in the money-making business now, he's paid his apprenticeship, he's won multiple world titles. It's time for him now to start earning those multi-million paydays.